How do I qualify for major competitions? Your dancer has worked hard moving through the grade levels. You are now beginning to see exactly what the competitive side of Irish dance has to offer. Below are the following major competitions that your dancer may want to compete in. You will be competing as a LOQC dancer. 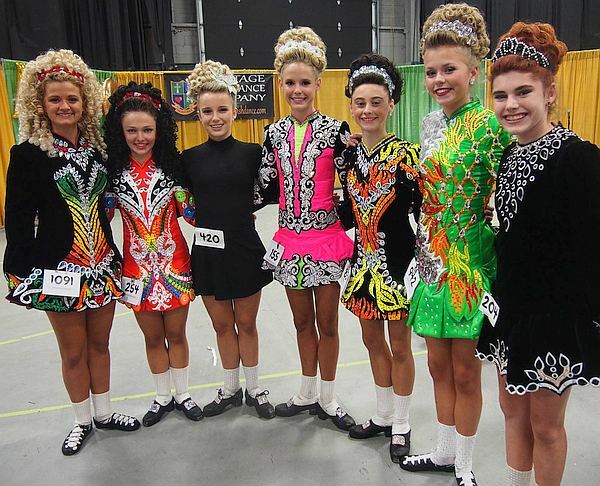 The Oireachtas (or-OCK-tus) is a regional competition that can qualify you for the North American Championships and the World Championships. You can compete in solo or ceili (group) dancing. 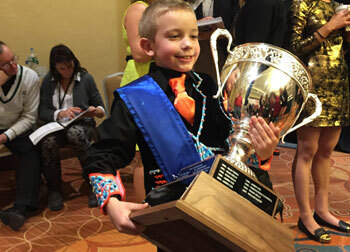 Championship dancers are eligible to compete in the solo and ceili dance competitions. Grade level Dancers are eligible to compete in both the Traditional Set Dance Competition and the Ceili Dance. You must meet all the requirements outlined at registration. If a dancer signs up and does not follow through with the requirements, they risk being taken out of the competition with no fees reimbursed. Please know that competing at the Oireachtas is an honor and must be treated as such. The North American Championships is also called Nationals or NAN’s. The different regions along with IDTANA take turns hosting this prestigious competition. The location rotates every year around the USA and Canada. This competition is like the Olympics of Irish Dance! The location changes every year. In the past it has been held in locations such as Belfast, Dublin, Ennis, Galway, Glasgow, and Philadelphia. You can qualify for solo – 3 different ways. Attain a World Medal at the previous World Championships and you are qualified for the next year. PLEASE NOTE: If you qualify under our school and decide to switch schools, your qualification does not go with you! You must re-qualify with your new school. Be very proud of yourself to make it this far!! Make sure you are prepared or you will be pulled from the competition by the teachers and with no fees reimbursed. This is similar to the North American Championships – it is the “Nationals” for Ireland. The level of competition here is extremely high and is very close to being as prestigious as the World Championships. These competitions alternate as the qualifier for the World Championships. In order to attend you will need to check with your teacher. Please email us if you are interested. Dancers must be in Open to be considered. If you have additional questions, contact O’Grady Quinlan teacher by using our contact form.